Sophisticated and stylish, Hyatt Zilara Rose Hall is an indulgent escape for adults seeking refuge from the rigors of the outside world. Here, within the resort's sprawling grounds, couples, friends and individuals are welcome to partake in whatever their hearts desire. Attentive service at every turn assures each guest of a harmonious, hassle-free vacation filled with gourmet cuisine, expertly poured cocktails and enough memories to last several lifetimes. Sophisticated and stylish, Hyatt Zilara Rose Hall is an indulgent escape for adults seeking refuge from the rigors of the outside world. Hyatt Zilara Rose Hall offers 234 sophisticated and spacious suites designed using a selection of contemporary materials to create an elegant and relaxing environment during your Caribbean retreat. 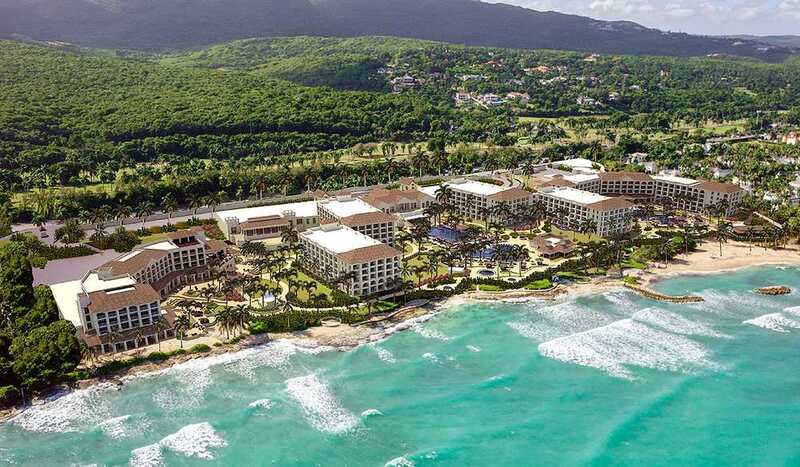 Enjoy magnificent views of Jamaica's natural beauty, amidst the backdrop of lush mountains and the Caribbean Sea. Hyatt Zilara Rose Hall offers distinctive and unforgettable dining options through our elegant buffet and specialty restaurants, each a unique culinary experience from around the world. What's it like to live without a care in the world? At Hyatt Zilara Rose Hall, guests will soon find out. Here, they're free to engage in water sports, indulge in the spa, explore the vast grounds or simply sip a beverage poolside. There's no wrong way to spend a day here. And when the night comes, an entirely new group of opportunities present themselves. It's all part of one all-inclusive price, and part of one unforgettable vacation as well. Pros: We stayed at this resort in February 2015, shortly after it opened. The property used to be the Ritz Carlton and was re-imagined as the Hyatt Zilara (and Ziva). The most striking feature of the resort is the pool; there is a large, interconnected lagoon/pool in front of the ground floor swim-up suites, which gives guests easy access to the main pool. Guests staying at the Zilara have full access to the amenities at the Ziva, next door. The same is not true for guests staying at the Ziva. This gives guests access to a number of dining options, all included in your room rate. .
Cons: No dedicated nightclub; guests looking for nightlife/dancing may want to consider another resort or go offsite to downtown Montego Bay It may be because the resort had just opened, but room service was slow during our stay. Do not order room service if you are on a tight schedule.